This extravagant Venetian eye mask has the best of both worlds with the combination of lazer cut metal & a feather plume detail. Comes with black ribbon ties for easy wear. 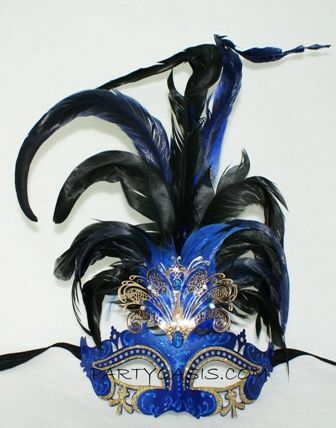 Great for your next masquerade ball event.